Executive Express Chiropractic San Francisco Launches New Online Newsletter The "Health Bulletin"
Executive Express Chiropractic, a premier back, neck, arm and wrist pain mitigation and treatment center conveniently located in the heart of San Francisco, recently launched its new online newsletter, Health Bulletin. The publication provides the latest news, tips and information on pain alleviation and care strategies. Executive Express Chiropractic, a premier back, neck, arm and wrist pain mitigation and treatment center conveniently located in the heart of San Francisco, recently launched its new online newsletter, The Health Bulletin. The debut issue was published on July 29, 2009 and has already been distributed to hundreds of patrons and interested parties nationwide. The Health Bulletin is an informative publication that provides the latest news, tips and information on pain alleviation and care strategies. The newsletter also keeps readers informed regarding the latest industry events and Executive Express Chiropractic happenings. Regular monthly columns include the local Business Spotlight and the Sports Corner, with chiropractors Dr. Eben Davis, Dr. Adam Jacobs and Dr. Dave Schlute plus occasional guest authors contributing. "Health Bulletin is just one more way Executive Express Chiropractic communicates with its patrons, assisting them with day-to-day back, neck, arm and wrist pain management," states Dr. Eben Davis, Clinic Director. "In addition to our new online newsletter, we've also expanded our communications campaign to include Eben Davis on Twitter, LinkedIn, Facebook and YouTube accounts plus my popular SF back and wrist pain blog." 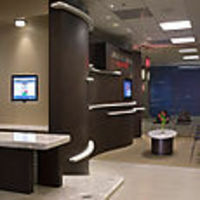 Executive Express Chiropractic is an upscale clinic located at One Embarcadero Center in San Francisco. The clinic delivers high-end, state-of-the-art chiropractic care within a convenient drop-in setting. No appointments are necessary, particularly advantageous for those who demand immediate pain relief. Advance appointment scheduling is available via traditional telephone scheduling or through the clinic's online intake form. To learn more about the Executive Express Chiropractic clinic, its comprehensive suite of services or the new Health Bulletin newsletter, visit us online. Originally Founded in 1992 by Dr. Eben Davis, San Francisco-based Executive Express Chiropractic provides immediate, no-wait pain mitigation for patients suffering from temporary or chronic back, neck, arm or wrist pain. The elite private practice addresses its clients' individual issues including the need for state-of-the-art technology, proven medical care, immediate relief and friendly customer service. Located in the heart of San Francisco, Executive Express Chiropractic supports the financial district, SF Embarcadero Center tenants, well-known sports and entertainment personalities, politicians and local residents.